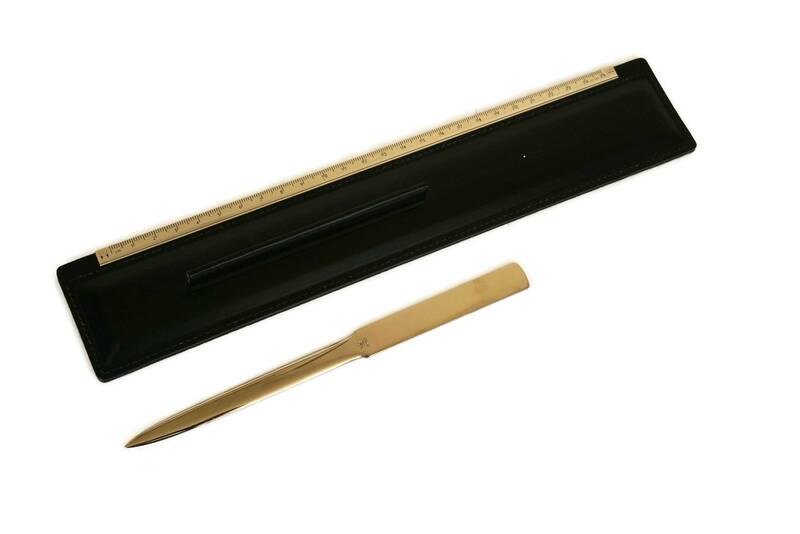 An elegant vintage leather desk ruler and letter opener created by the Solingen company in Germany. 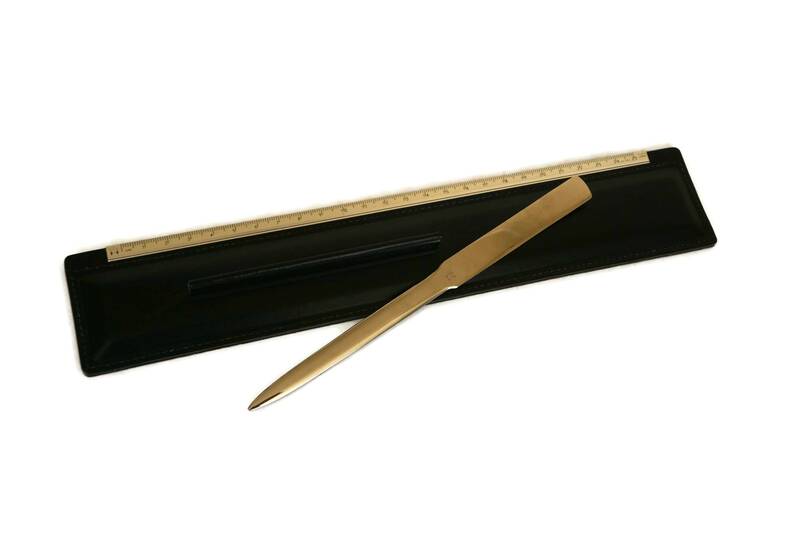 The desk set features a chic and minimalist design. 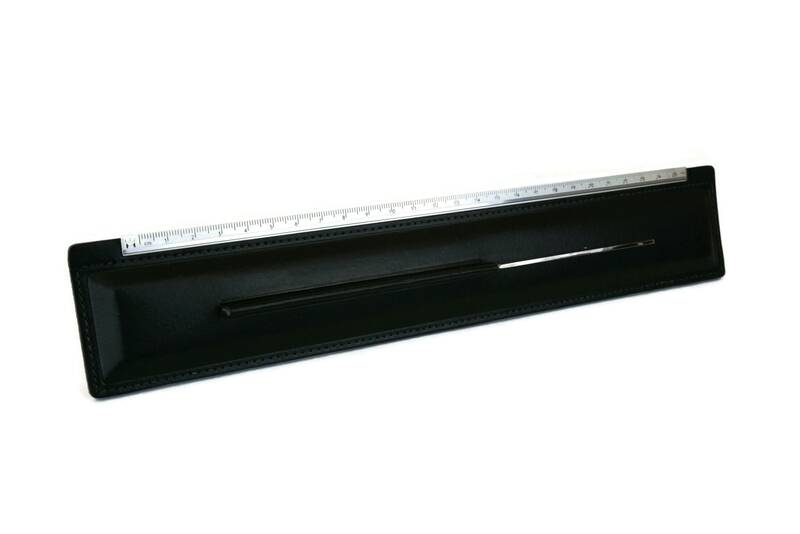 The ruler has been covered in black leather with a graduated stainless steel measure along the top edge. 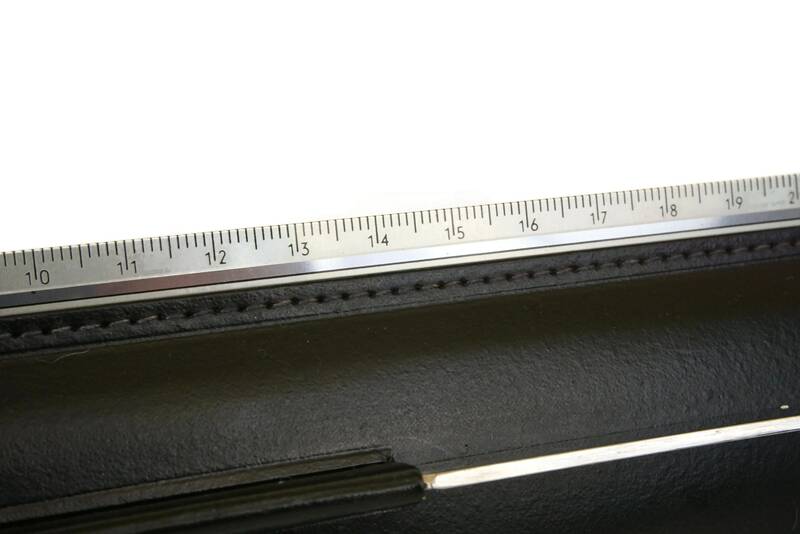 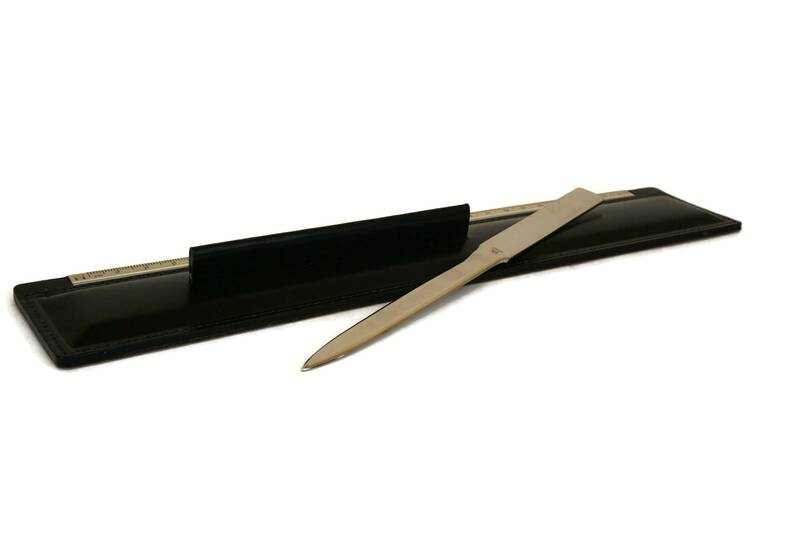 The paper knife is stored in a sheath along the middle of the ruler. 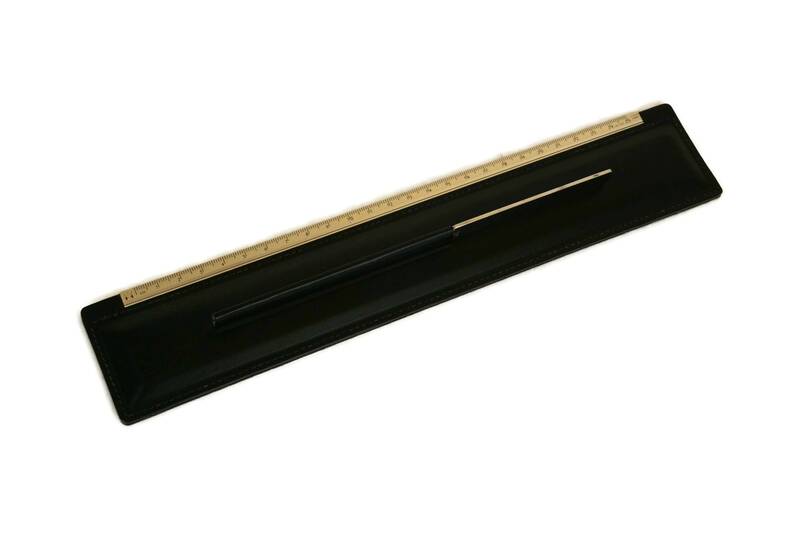 The ruler measures in centimeters from 0 - 25 cm. 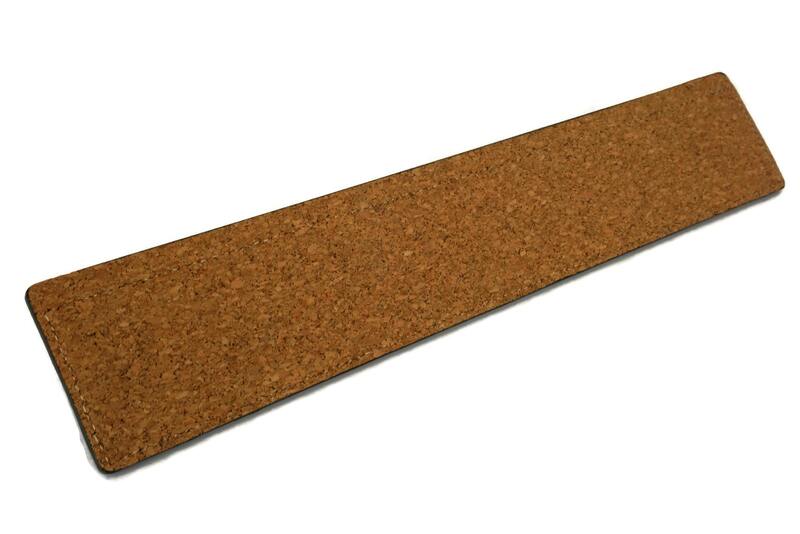 The underside is lined with cork. 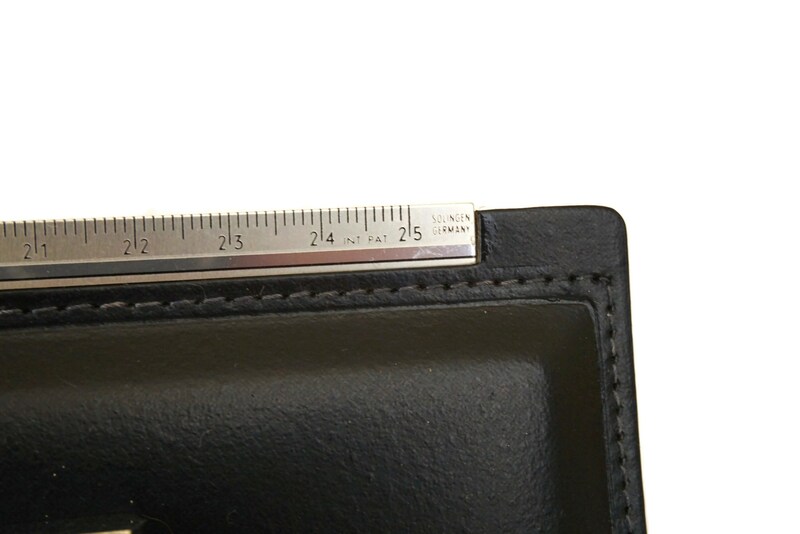 (30 cm x 5,5 cm). 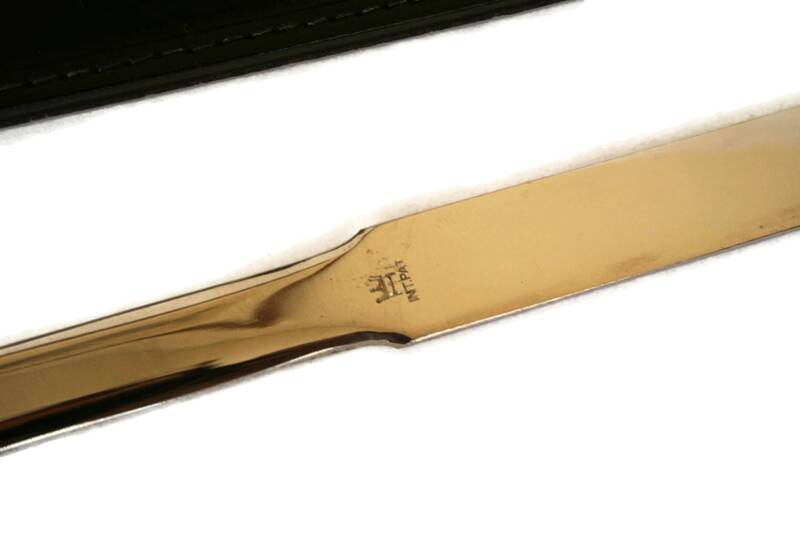 The letter knife is 7.5" Long (19 cm). 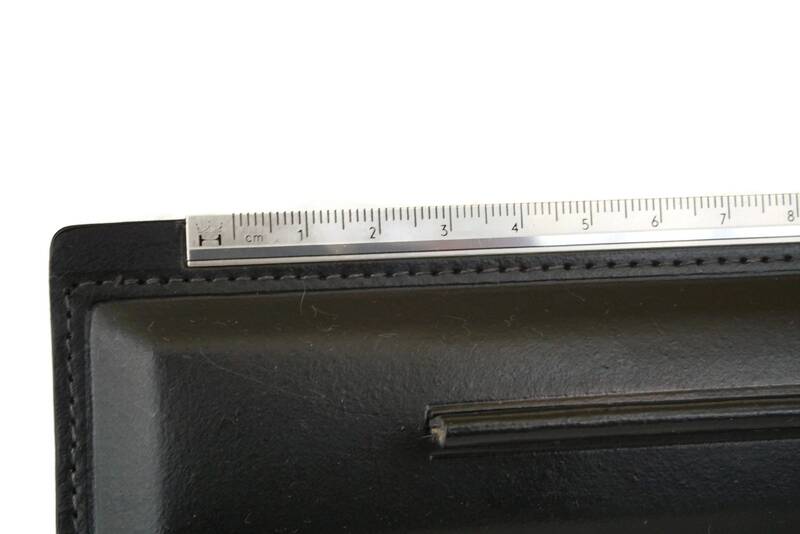 The desk set is in excellent condition.